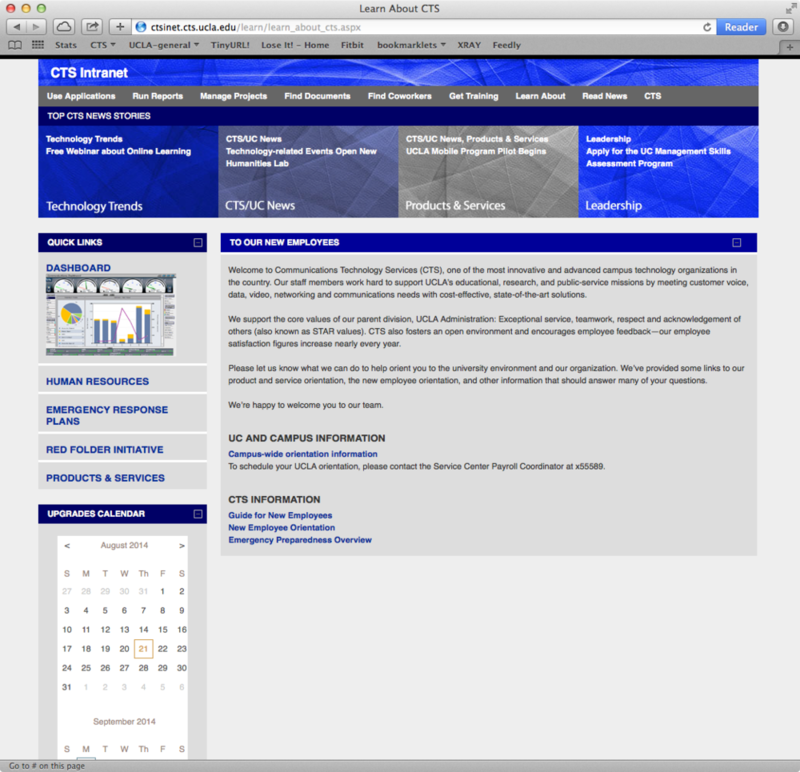 My division's intranet has gone through several iterations over the years. 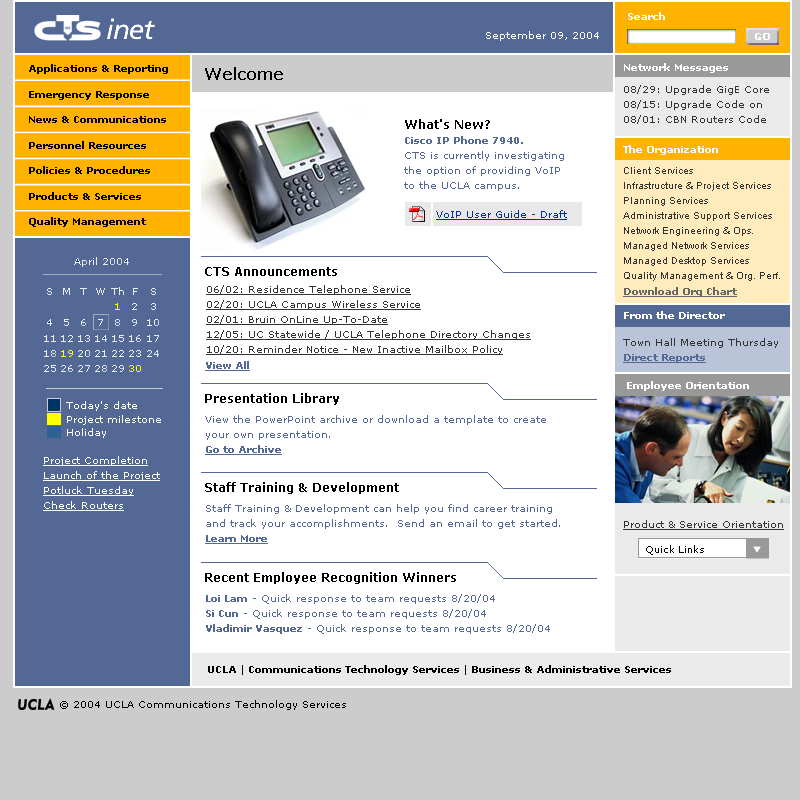 From 2005 - 2013, this intranet changed greatly. 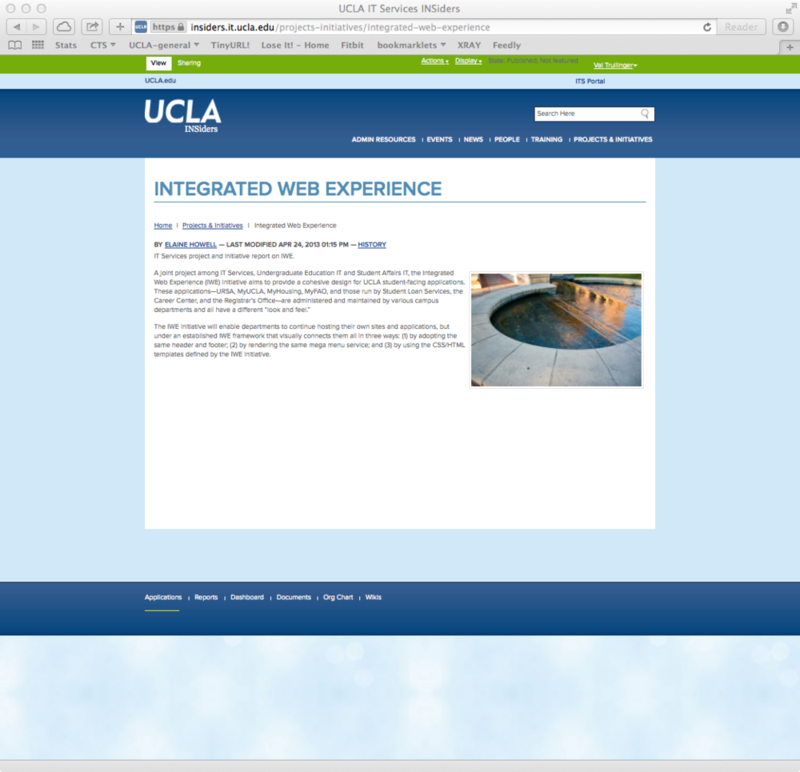 It began as a static site, then a dynamic one, and migrated to a Plone site, to match the main UCLA website. In the coming months, we're going to migrate and redesign it once again. 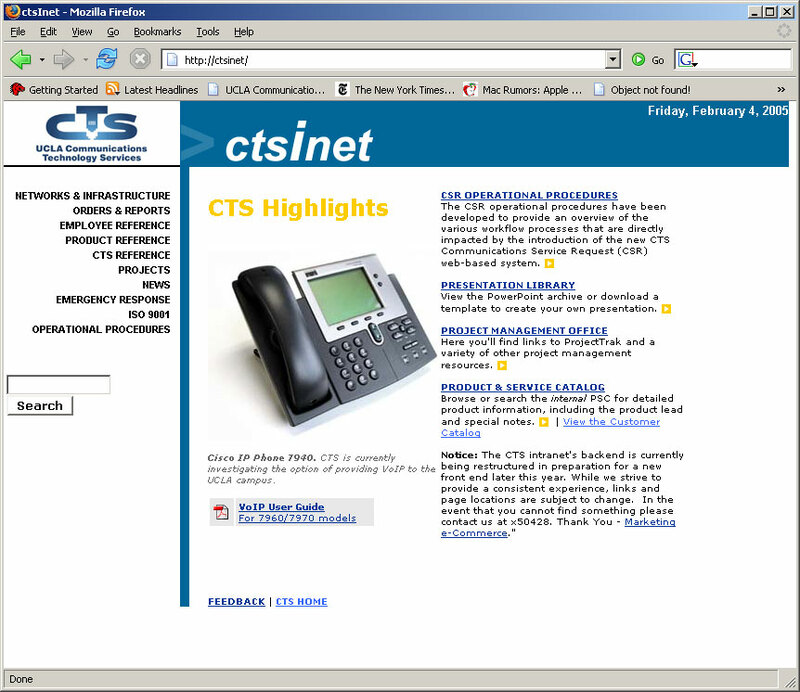 One of the first things I did was to go to the stakeholders and users, and ask them what they actually used the intranet for. I did this in person, but also sent out a survey to everyone in the division — that told me that people were using it to get very specific tasks done: running applications and reports they needed for their jobs, looking up old documents, finding their coworkers who were scattered over multiple buildings on campus, and scheduling training. Information about the division itself was their last priority, not the primary one, as in the old design. The design went through many cycles of testing and iterations, to get it as useful as possible. I worked closely with our development team to integrate the site with our applications and databases, to try to make the interface as seamless as possible, and not make the users have to open up multiple sites to find what they needed. 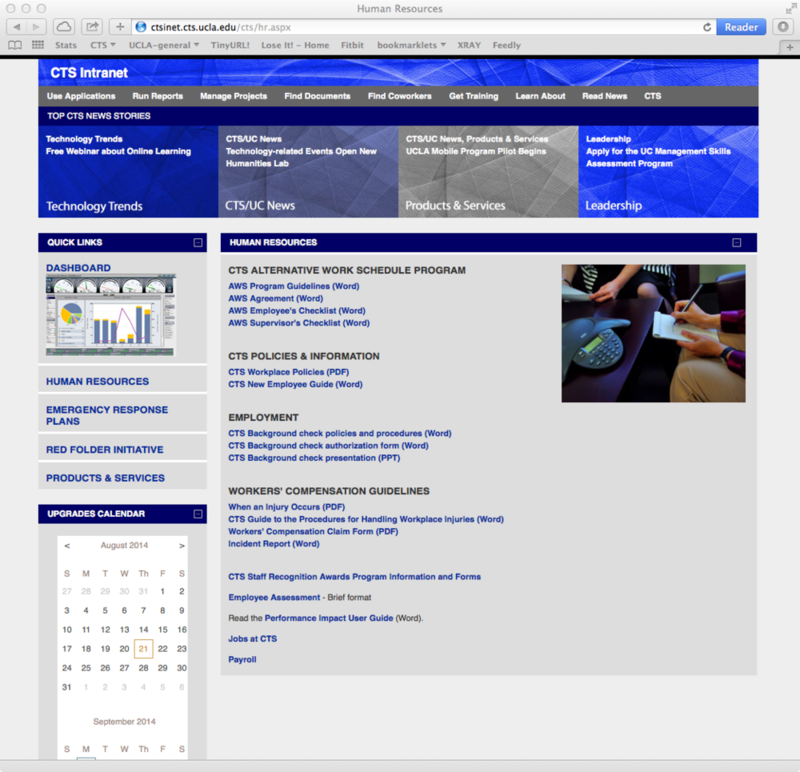 Eventually I got a training calendar and registration system added, as well as an upgrades/patching calendar. Here's some screenshots of the iterations, and project notes on the process. 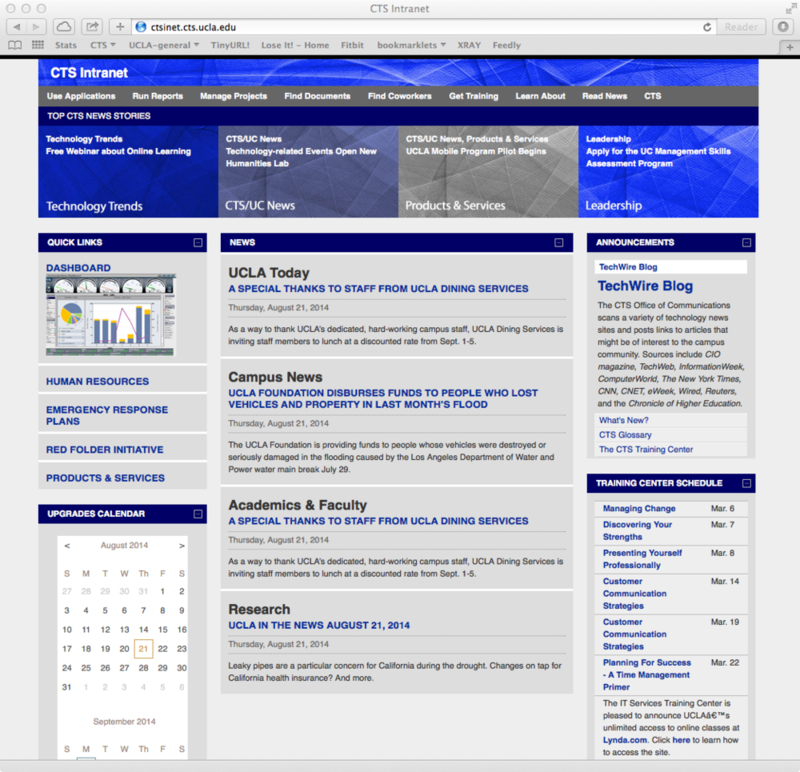 In 2013, the latest iteration of the site also had to combine two intranets, one from each division that'd merged. That's two navigation systems, two hierarchies with almost no overlap, and two fairly different audiences, all on a new platform. To make it even more exciting, my team managed to finish the migration in 22 calendar days; substantially ahead of the other group that'd previously been working on it. As you might imagine, we drank vats of coffee.